Info › Photos & Videos › Why do Photos get Stored in DCIM Folder? Why do Photos get Stored in DCIM Folder? Have you noticed that all photos you have taken are stored in a DCIM folder? Whether it’s a digital camera or the camera app for Android or iPhone, the photos taken are kept in the DCIM folder. And did you know that just about every digital camera uses the same folder? When you use apps to edit and share photos clicked on your smartphone, even those pictures are stored in the DCIM folder on your phone’s storage. DCIM stands for Digital Camera IMages; so now you know the purpose of the folder name. Of course, a folder named Photos or Images would be more simple, and also easy to spot. However, there is a reason behind the choice for a DCIM folder. Why are photos kept in DCIM folder? 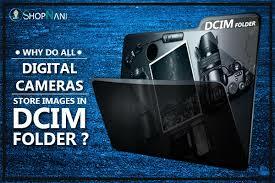 The name DCIM which is given for storing photos in digital cameras is part of the DCF (Design Rule for Camera File System) specifications. This has been adopted by many digital camera makers that is practically became an industry standard. As the DCF specification is common, camera and smartphone makers, including app and software developers, stick to this DCIM storage habit. Suppose every digital camera maker or phone’s operating system had its own pictures folder, the software programs will not be able to find images automatically on a connected device. Also, you won’t be able to take SD card from one digital camera and plug it to another one directly. Even accessing the photos without reformatting the device or rearranging the file system would not have been possible. Psst: If you have deleted RAW photos from digital camera or RAW files are lost from it, you can get them back easily. Follow the link to recover RAW photos from digital camera’s memory card easily. DCF not only dictates folder to which photos are written, but it does much more. DCF spec also says SD cards that a specific file system must be used when formatted. It also says subdirectories and file names used for saved images to follow a specific pattern. So all these make working with pictures on other devices easier when compared to each manufacturer coming up with their own rules. Thus, the standardized DCIM format means camera photo-transfer software can automatically identify pictures on an SD card or digicam when you connect it to the computer. The same thing holds good for DCIM folder on smartphones too. Did you know that at times you can lose photos from DCIM folder, or sometimes, the folder itself might get deleted? Under such instances, you need a Photo Recovery tool to recover deleted DCIM folder in which all your photos are stored. You can use Remo Photo Recovery software to quickly get back deleted or lost DCIM folder. It also helps to recover images from unreadable SD card, corrupted, formatted, inaccessible memory cards. This application will retrieve deleted or lost photos and video files from memory cards, hard disks, external USB drives, etc., with ease. How to Make Use of Picasa to Store and Organize Your Photos?